HAVANA - Cuba announced Thursday it will allow real estate to be bought and sold for the first time since the early days of the revolution, the most important reform yet in a series of free-market changes under President Raul Castro. The law, which takes effect Nov. 10, applies to citizens living in Cuba and permanent residents only, according to a red-letter headline on the front page of Thursday's Communist Party daily Granma and details published in the government's Official Gazette. "This is a very big step forward. With this action the state is granting property rights that didn't exist before," said Philip J. Peters, a Cuba analyst at the Lexington Institute in Arlington, Virginia. "If you think about it from the point of view of a Cuban family, it converts their house from a place to live into a source of wealth or a source of collateral. It's an asset that can now be made liquid." While the Gazette was available online, few Cubans have access to the Internet and most were waiting for the booklet to go on sale at kiosks around the country. A handwritten sign posted at Havana's main distribution center Thursday advised that the law booklet was not yet on sale. On the streets of Havana, residents said they were thrilled by the news but anxious to see the fine print. 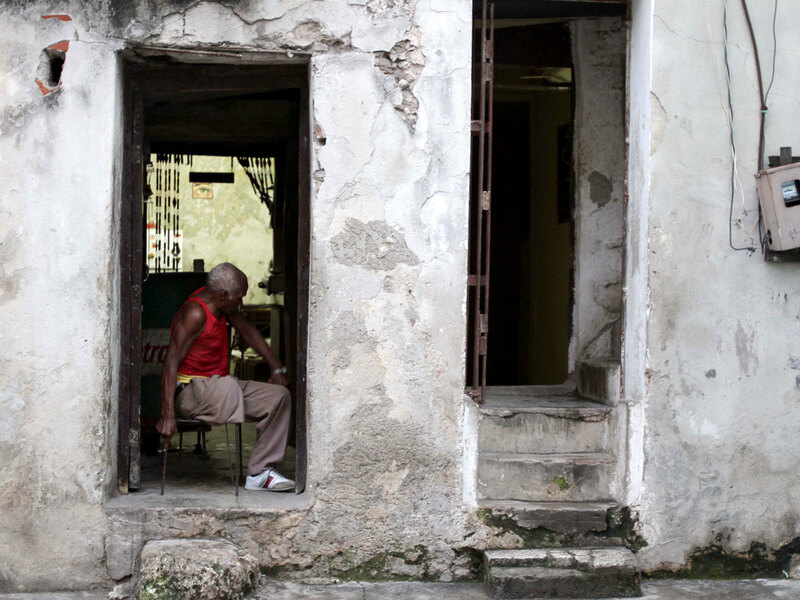 "This is going to help me because I have some money and now I will be able to buy a better house," said Oscar Palacios Delgado, a 68-year-old office maintenance worker, adding he hoped the government would enact other changes to make it easier for Cubans to find building materials for home repairs. "This law will benefit many Cubans." Cuban exiles will not be allowed to purchase property on the island since they are not residents. Still, they will be able to send money to help relatives buy new homes, and there was speculation some might try to buy homes themselves through frontmen, something the government would likely try to prevent. The change follows October's legalization of buying and selling cars, though with restrictions that still make it hard for ordinary Cubans to buy new vehicles. Castro has also allowed citizens to go into business for themselves in a number of approved jobs -- everything from party clowns to food vendors to accountants -- and has pledged to streamline the state-dominated economy by eliminating half a million government workers. Cuba's government employs more than 80 percent of the workers in the island's command economy, paying wages of just $20 a month in return for free education and health care, and nearly free housing, transportation and basic foods. Castro has said repeatedly that the system is not working since taking over from his brother Fidel in 2008, but he has vowed that Cuba will remain a socialist state. Cubans have long bemoaned the ban on property sales, which took effect in stages over the first years after Fidel Castro came to power in 1959. In an effort to fight absentee ownership by wealthy landlords, Fidel enacted a reform that gave title to whoever lived in a home. Most who left the island forfeited their properties to the state. Some Cubans entered into sham marriages to make deed transfers easier. Others made deals to move into homes ostensibly to care for an elderly person living there, only to inherit the property when the person died. The island's crumbling housing stock has meant that many are forced to live in overcrowded apartments with multiple generations crammed into a few rooms. Even divorce hasn't necessarily meant separation in Cuba, where estranged couples have often been forced to live together for years while they worked out alternative housing. According to the Gazette, the new law will eliminate the need for approval from a state housing agency, meaning that from now on sales and exchanges will only need the seal of a notary. Cubans will also now be allowed to inherit property from relatives without having to live in it first, and they will be able to take title of property of relatives or others who emigrate. Previously, such properties could be seized by the state.